Many a canoe has been launched from this very spot. It has been the starting point for many 8 mile adventures down the buffalo river. The destination? Kyle’s Landing. This particular summer was incredibly hot, and Brian Cormack and I decided it would be great to go camping. Unfortunately, we barely saw a single cloud in the sky during the day so it was super hot the entire time. Which meant laying around a lot in the hammock and drinking tons of water. Luckily, the mornings and evenings were beautiful so I captured a few great photographs on this trip. This one in particular is probably my favorite from the trip. 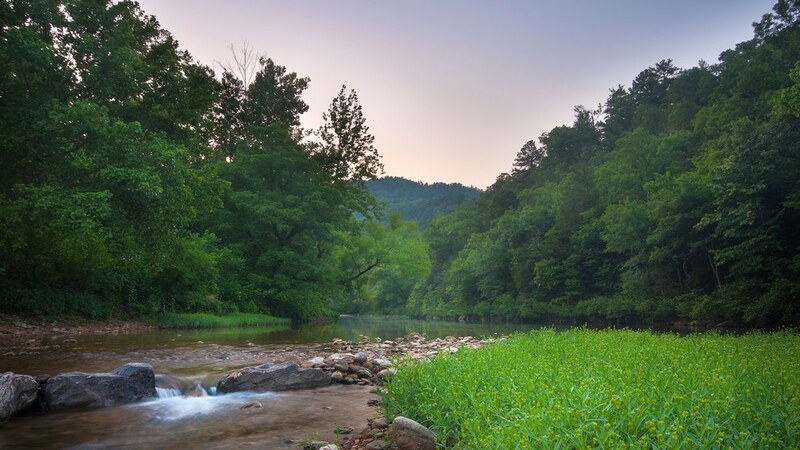 Have a cool story about floating the Buffalo National River or camping at Steele Creek? Let’s hear about it in the comments!